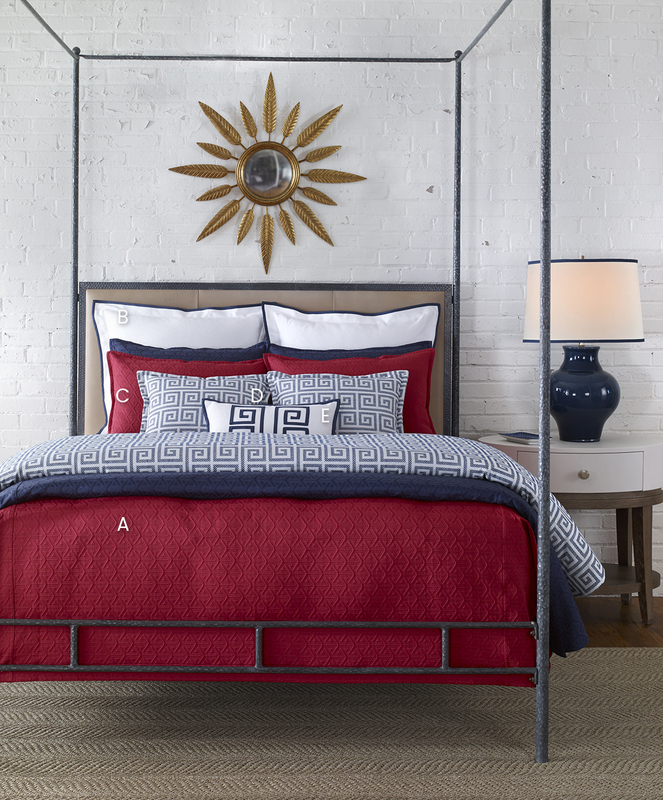 Pacifica is photographed with Navy and Red coverlet and standard shams.White Euro Shams are from the Lena collection and coordinate with both colorways. Package includes 1 coverlet,2 shams,1 bedscarf,and both decorative pillows. King Coverlet - 98" x 108"
Queen Bedscarf - 56" x 95"
King Bedscarf - 56" x 110"
Decorative Pillow - 16" x 20"
Decorative Pillow - 12" x 20"
1 Queen Coverlet (A), 2 Standard Shams (C) ,1 Queen Bedscarf (F), 2 Decorative Pillows (D), 1 Decorative Pillow (E). 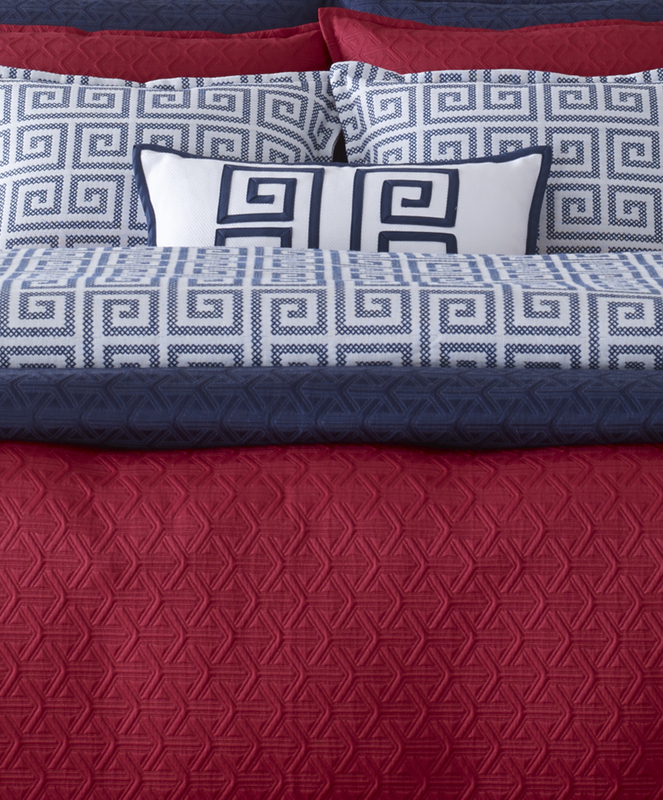 1 King Coverlet (A), 2 King Shams (C) ,1 King Bedscarf (F), 2 Decorative Pillows (D), 1 Decorative Pillow (E). Pacifica matelasse available in Red and Navy. Lena White Birdseye Pique with Navy bias tape trim on edge of flange. White Birdseye Pique, with Greek Key Embellishment in Navy.